Samantha Smith is an emerging independent Contemporary Gospel artist from Bermuda that has been praised as an undeniable talent. With an unlikely fusion of Gospel, R&B, Jazz, and Reggae she is skilled at creating music without boundaries. After years of singing for various events in the community, Samantha has become well diverse in all musical genres and experienced in a plethora of performance settings. 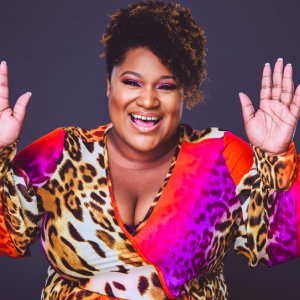 The charismatic and natural born singer who has lent her voice to several local groups and churches has been focus on furthering her career as a headliner. Not only is she a powerhouse singer, but her strong acting ability has landed her leading roles in stage plays such as “Sister Act” Directed by Albert Cremin / Produced by BMDS, “Joy in the Morning” Directed & Produced by Robin Givens, and “Beauty & the Beast” Directed by Steve Huntsman / Produced by TROIKA Bermuda.